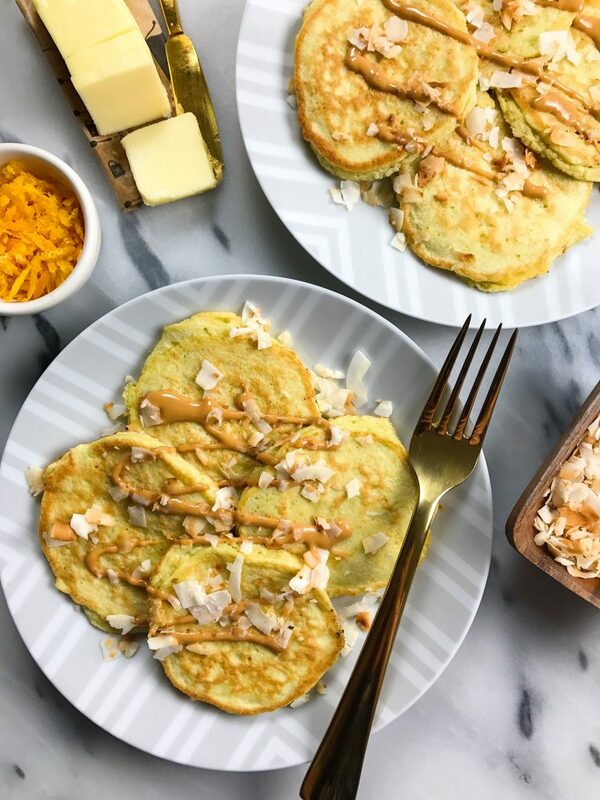 Toasted Coconut Orange Pancakes made with coconut flour for a delicious grain-free breakfast! PANCAKESSSSS are here. Yup, more dreamy pancakes for us to enjoy and feast on. It is funny how much of a pancake kick we have been on recently. And by “we” I mean you and me! I love seeing you guys tagging me in your pancake creations from the blog. It makes me so happy! 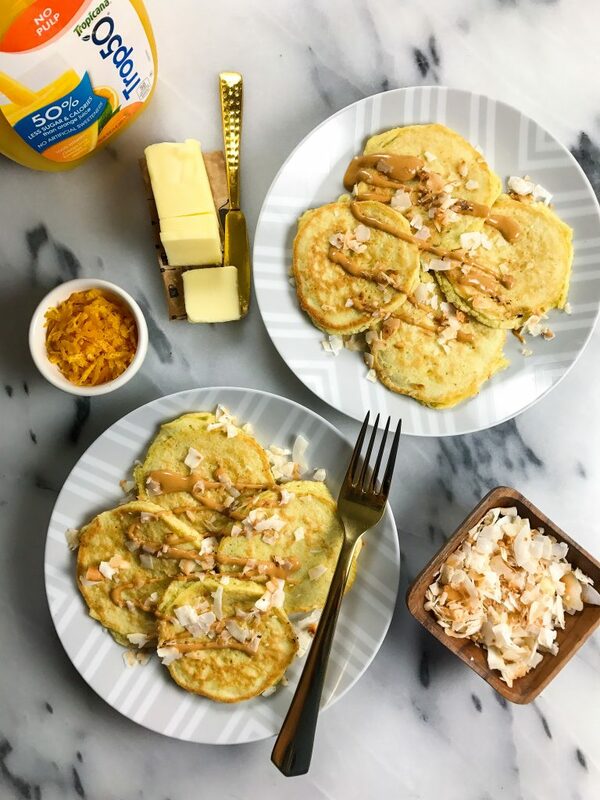 These Toasted Coconut and Orange Pancakes are one of the most unique and delicious stacks yet. A fluffy grain-free coconut flour pancake base filled with simple and delicious ingredients. Plus this recipe is low in sugar! It has an ingredient you’d least expect too, Trop50 juice beverage! It is the perfect way to start the morning because you get delicious taste with 50% less sugar. Trop50 is squeezed from fresh oranges, provides 100% of your vitamin C needs and has no artificial sweeteners! 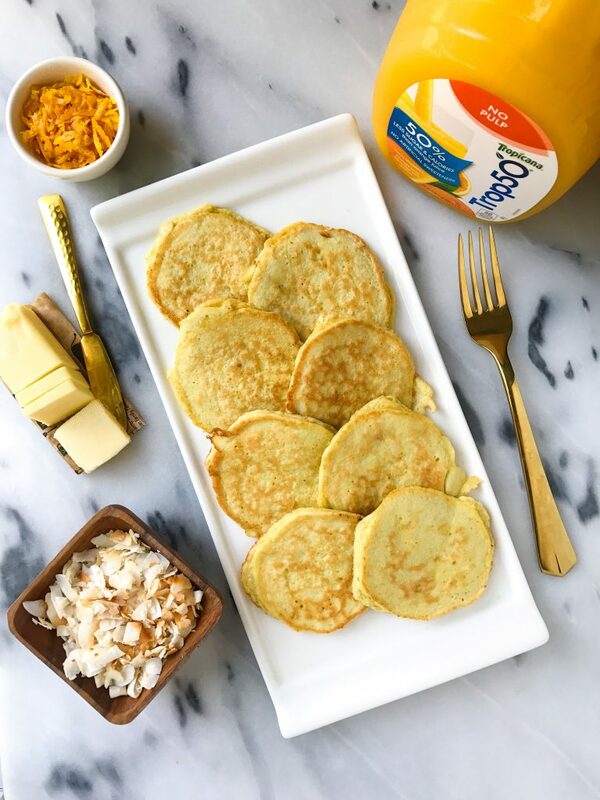 One of my favorite ways to add sweetness to my pancakes without sacrificing flavor at all – which is why I am partnering with Trop50 to share my own #SugarHacks. We made these for breakfast and had some extra Trop50 on the side and Jord was in heaven. The toasted coconut flakes on top add such a dreamy crunch and flavor to the stack, I know you guys will love! 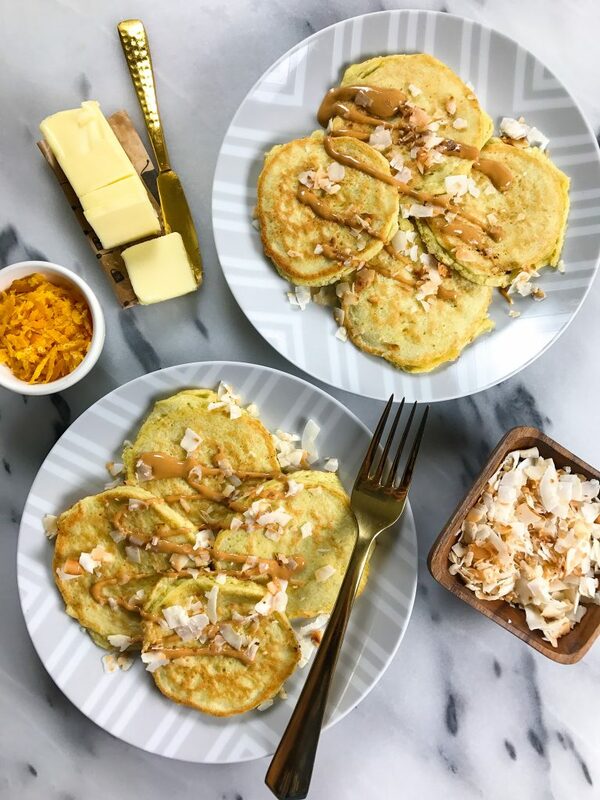 Top pancakes with toasted coconut and any desired toppings! Thank you Trop50 for sponsoring this post. It means so much to me to work with brands that I love and who support rachLmansfield! Is it possible to use chia or flax seeds to replace the egg? i haven’t tested but it should work, let me know! !